Dr. Sonya Pearson Hosted by Dr. Sonya Pearson, Vice President of Student Affairs, Mesa Community College, this full-day event will be held Friday, February 16, 2018 at Mesa Community College. Guest registration will begin at 7:30am (coffee/tea service provided) followed by our program which will begin promptly at 8:00am and conclude at 5:00pm. 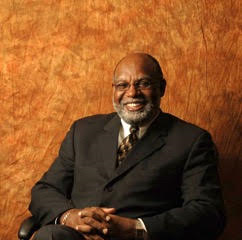 Dr. Rufus Glasper The opening remarks and plenary session “A Dream for Change” with Dr. Rufus Glasper President & CEO of the League for Innovation lead off our day, followed by important round table discussions. This forum serves as a foundation for a state model to drive practices of shared accountability among Educator’s, Businesses, Social Services Agencies, State Philanthropic Organizations, City Leaders and Student Government Representatives. The day will focus on innovative strategies for dramatic change and narrowing the gap in student access and completion, housing, food security, transportation, workforce development and job placement. Dress for the day is casual. Rooms can fluctuate in temperature and a light jacket or wrap is recommended. WiFi is available and fully accessible. Our sessions also include formal note-takers capturing information from the day allowing you to fully participate. ‘Development’ of the individual and the collective is being redefined by her, to include the further reaches of the human and cultural capabilities, to discover a deeper balance between humanity and nature, our intellect and emotion, our inner and outer worlds, and to foster its expression through many programmes world-wide in society as well as organizations. Monica Sharma, trained as a physician and epidemiologist, worked for the United Nations since 1988 for 22 years. She is the author of the book “Radical Transformational Leadership” which has been describes as a path-breaking classic by eminent scholars. Currently, she engages worldwide as an International Expert and Practitioner on Leadership Development for sustainable and equitable change. She works with United Nations, Universities, Management Institutions, governments, business, media and civil society organizations. She is the Tata Chair Professor at the Tata Institute of Social Sciences in Mumbai. As a practitioner, her proven track record of generating measurable results at scale, as well as enhancing leadership on every continent, is unique. She brings this experience and capability to all her work. She designs and facilitates programmes for whole systems transformation and leadership development in both developed and developing countries. Using cutting–edge transformational approaches and methodologies, the purpose is to achieve measurable and sustainable change in development, business and peace. She fosters results-oriented partnerships with governments, civil society, business, media and United Nations. She also designs and implements workshops – “learning –in-action programmes” - with both business and non-profit organisations on different aspects of Leadership Development for Equitable and Sustainable Change. She engages with over 20 organisations, mostly global. Formerly, as Director of Leadership and Capacity Development, United Nations, she designed and facilitated programmes for whole systems transformation and leadership development around the world with a focus on the 50 least developed countries, with measurable results. 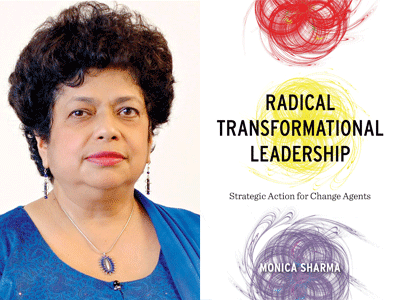 Monica Sharma designed and directed large programmes globally, and lived and worked extensively in both developing and developed countries - in Africa, Asia, Arab States, Eastern Europe, Europe, Latin America and the Caribbean, North America. 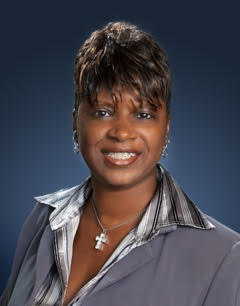 For example, she developed and implemented transformational leadership programmes in 40 countries generating multiple innovations and large-scale results impacting 4.5 million directly and another 130 million in the context of HIV AIDS as the global Director of the HIV/AIDS programme of United Nations Development Programme. She pioneered the strategy for “whole systems transformation” for reducing maternal mortality in South Asia, addressing women’s rights and leadership at all levels. She led teams for policy formulation, strategic direction and programme development in 60 countries, building multi-stakeholders partnerships with governments, media, civil society and business. She has published and presented over 250 articles in journals and international forums. Monica Sharma created and uses a unique response model based on extensive application –a conscious full-spectrum model- which simultaneously in time solves problems, shifts systems and creates new patterns sourced from individual inner capacity and transformational leadership. This model has generated sustainable results worldwide. In her recent book ‘Radical Transformational Leadership ‘ she describes how we can source our inner capacities and wisdom to manifest change that embodies universal values such as dignity, compassion, fairness and courage. Everyone has the potential to be a leader–a person who creates a new future–through action in society, at home and at work. This book lays out a detailed plan for unleashing our human potential to create a new future through strategic action. She fosters emerging leaders world-wide – proactively seeking out potential leaders, unleashing their power of effective creativity, enabling them to manifest their full potential. These leaders recognize the invisible, multiple patterns and systems that shape societal and planetary situations and actions; they distinguish, design and deliver actions sourced from self-awareness and empathy; manifest sustainable and equitable change, creating new patterns as they solve problems. Additional information will follow after the event date. In the meantime, you or your staff can reach Kathleen Perales at kathleen.perales@mesacc.edu to answer any questions.